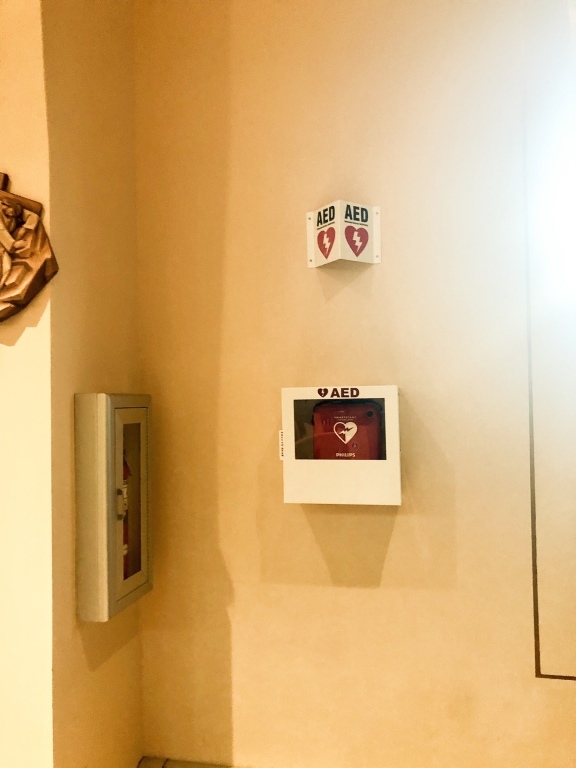 Reflecting on the charisms of both Our Lady of Lourdes and Queen of Peace, Mary, Mother of Mercy Nursing and Health Ministry strives to serve those sick in body, mind or spirit by bringing healing and peace to them and those who care for them. We share our talents as health educators and advocates by providing support for the physical, emotional and spiritual needs of all who seek our services. We see each individual as part of the body of Christ and are called to promote the dignity of every human life. New ministry members are always welcome. Health care workers, crafters, cooks, companions, etc, of any age can serve the community. The next ministry meeting is March 24th at 6:30pm in Our Lady's Hall, Pitman. 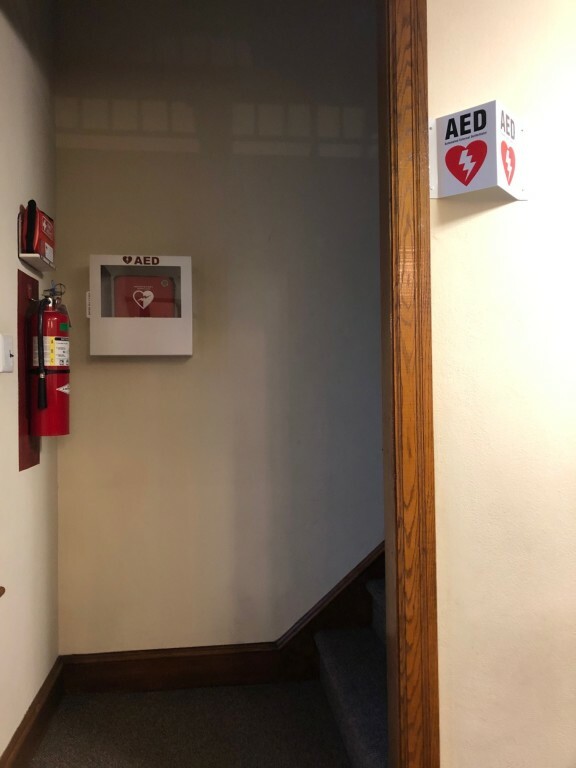 The Parish Nursing & Health Ministry installed AED’s in both of our churches.